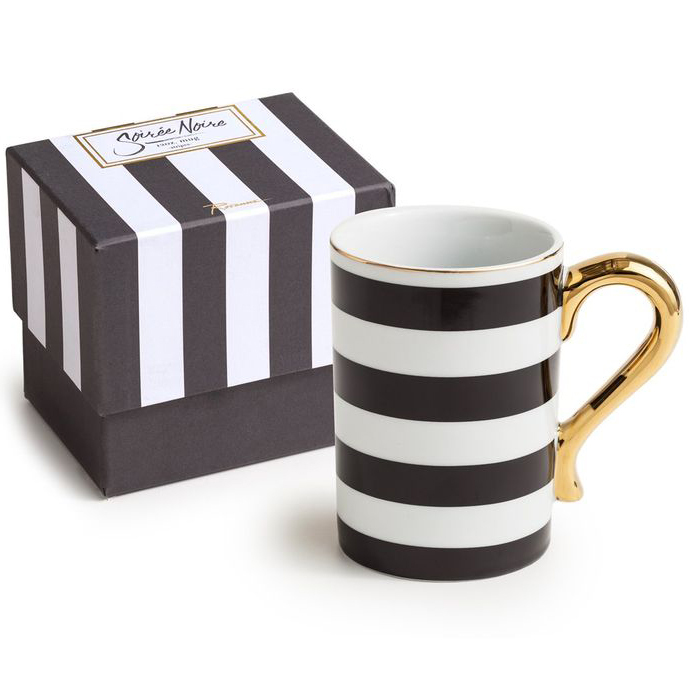 A golden handle and rim elevate the look of a porcelain Black and White Rosanna Stripes Mug that comes packaged for gifting. $22. Free shipping. Buy here.